Introduction by Steve, author of this website. As I have said many times before, I personally take articles such as the following, with a big pinch of salt, as to the asserted exact time frame, even if the events described do indeed appear imminent; but I do believe that there is enough evidence of the dangers mentioned in the following article, to be well worth the read. My suggestion to all who read the following:- Pray real hard that such an aweful scenario, as a World War III, does not happen on our watch, on account of the insane NEW WORLD ORDER'S desire to get rid of 95% of the world's population, and finally bring on their insane NEW WORLD ORDER!. If they insist on getting rid of undesirables, then maybe they should start with themselves-people like George Soros, and the world would indeed be a much safer place. As I have have written before, I do believe that ultimately & inevitably the USA will be destroyed according to the Book of Revelations chapter 17 and 18! However with Donald Trump as the new president, it is our hope and prayers, that the USA has more time to get back to its Christian roots, and away from modern luny-left insanity, who are but stooges of the globalists, and bent on bringing total chaos! 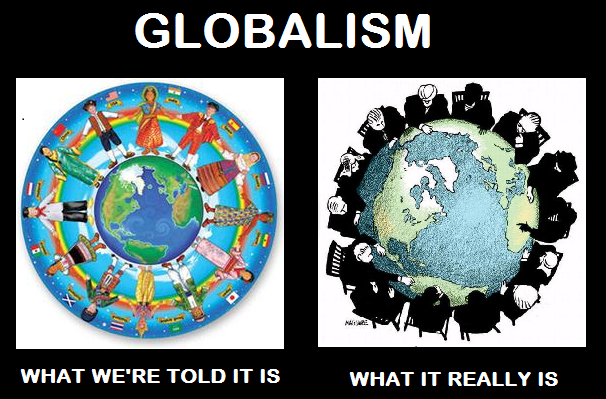 As the Globalists like Gearoge Soros motto reads:"OUT OF CHAOS, WE WILL RULE!" It has long been warned that when the time comes, the wheat will be separated from the chaff and recent events in Washington DC and across the planet show us that is the direction we are now headed. We warned yesterday in a story on ANP that a 'Biblical event' awaits us with globalists in America who hold 'terroristic tendencies' (and who quite literally armed and supported ISIS terrorists during the Obama regime) still pushing for a World War 3 with Russia. With their 'satanic nwo' completely falling apart with Brexit and the presidency of Donald Trump blowing massive holes in their plans, we get new indications today that 'enemies of America within' are once again pushing for our destruction. We also reminded you just days ago that only weeks before the election, tensions between the US and Russia were at a fever-pitch and quickly headed towards nuclear war and potential worldwide nuclear annihilation, especially had Hillary Clinton 'stolen' the US presidency, thus assuring a World War 3 with Russia according to Russian president Vladimir Putin. And now we hear from former Democratic Congressman Dennis Kucinich in the 2nd video below who argues what we're now watching coming from the Neocons who want death and destruction could blow up in America's faces. In the first video below, Christopher Greene of AMTV warns us the dark forces spoken of in this story are on a mad rush to start up World War 3 despite the will of President Trump. First, from the Fox News Kucinich interview. 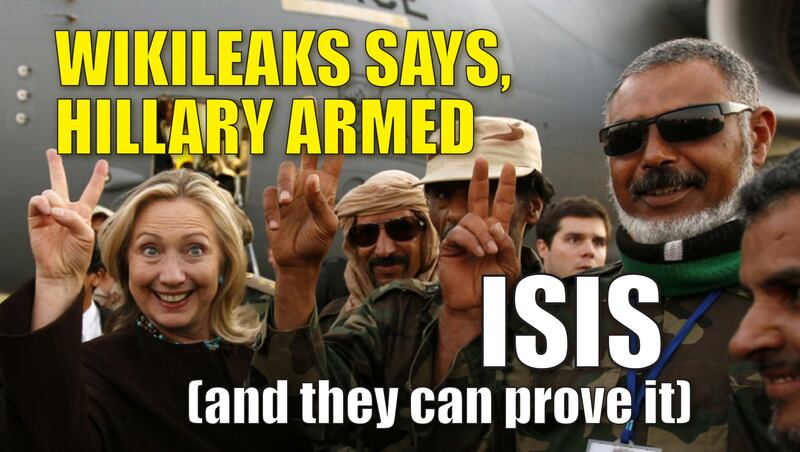 Why have terrorists supporters in America such as psychopaths Hillary Clinton, John McCain, Lindsey Graham and all of the other filth who've helped to put Christians in the crosshairs in the Middle East and around the world while arming our enemies as outright stated by Democratic Congresswoman Tulsi Gabbard in her STOP ARMING TERRORISTS bill in Congress NOT been arrested in a massive round-up of 'terrorist supporters' and 'enemies of America within'? 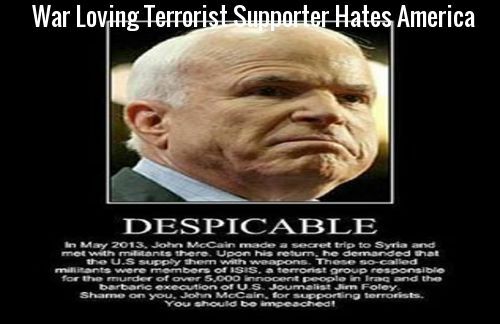 Or is it ok for terrorist-supporters like John McCain to arm the terrorists killing Christians in Syria and around the world just because they do the work of cowards in Washington DC? If you ask us, that 'terrorist-supporter-roundup' should have commenced long ago! We had reported on ANP as recently as October of 2016 that Steve Quayle might soon have to 'put up his red screen', thus indicating to us that nuclear was was imminent and it was time to hunker and bunker down. While the election of President Donald Trump had seemingly put off that possibility, new events both here in America and across the planet warn us that it may be once again time to revisit that dreadful thought. As Gerald Celente recently warned USA Watchdog Greg Hunter, there is a definite movement to take out President Donald Trump by the death-and-war-hungry neocons seeking death, war and destruction. You can hear the full interview with Hunter and Celente in the final video below. President Trump has something that the globalists seeking to blow up the world and destroy America will never have - the huge and unwavering support of the American people despite what the MSM or whining protesters in American streets will tell us. And now we hear directly from former Democratic Congressman Kucinich in the brand new first video below who also warns us "there’s a game going on inside the intelligence community where there are those who want to separate the US from Russia in a way that would re-ignite the cold war”. Kucinich doesn't hold back one bit, warning America bluntly that it's time to wake up! In the recent story over at the Daily Mail that Steve Quayle linked to on his website on Tuesday we learned that Russian military jets have once again buzzed a US destroyer in the Black Sea with 4 Russian military aircraft conducting low passes against the USS Porter back on February 10th. What the Daily Mail called just the latest of a series of belligerent moves of President Donald Trump's young presidency while the NSA in America is dealing with an internal crisis, we see that 'enemies of America within' will stop at nothing to get the war they so eagerly want, even if that means bringing down President Trump and America along with them. And as NATO continues to push Russia, we read in another new story from the Daily Mail that Russian troops in amphibious vehicles have been practicing 'invastion tactics' after NATO deployed troops to the Baltic states allegedly to provide them 'protection'. For those who think this is merely 'fear mongering', did you know that last week, Putin told the Russian air force to 'prepare for a time of war'? We now feel that it is our duty, as Russians living in the US, to warn the American people that they are being lied to, and to tell them the truth. And the truth is simply this: If there is going to be a war with Russia, then the United States will most certainly be destroyed, and most of us will end up dead. Thus, if tomorrow a war were to break out between the US and Russia, it is guaranteed that the US would be obliterated. At a minimum, there would no longer be an electric grid, no internet, no oil and gas pipelines, no interstate highway system, no air transportation or GPS-based navigation. Financial centers would lie in ruins. Government at every level would cease to function. US armed forces, stationed all around the globe, would no longer be resupplied. At a maximum, the entire landmass of the US would be covered by a layer of radioactive ash. Are YOU prepared to live without electricity, the internet, and all of the other luxuries that make living in America today 'modern', all to satisfy the blood lust of John McCain, Lindsey Graham, Hillary Clinton and the rest of the criminal globalists? America would be much better off if Trump just locked them all up for supporting ISIS terrorists. And why would globalists politicians such as McCain and Clinton want massive death and destruction in America? In the 3rd video below from Paul Joseph Watson over at Infowars he tells us all about the globalists take down of Michael Flynn, just the latest sign to us that those who hate 'life' and who hate 'America' will stop at nothing to complete their evil, satanic plans for Americans and the world while bringing us only more death and destruction. 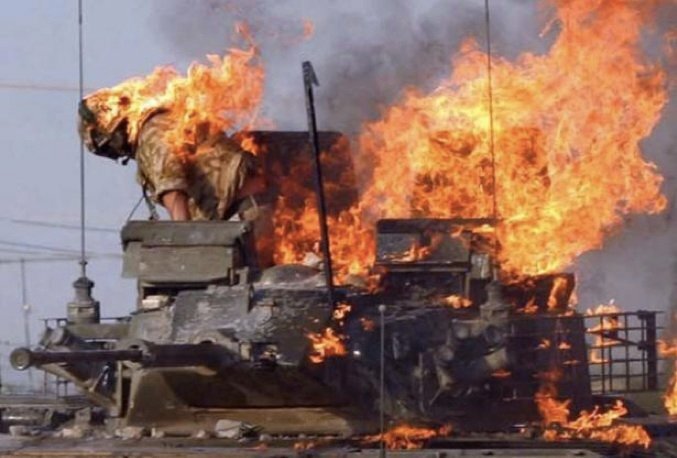 To that end the United States is reportedly contemplating sending heavy weaponry, including battle tanks and infantry fighting vehicles, to Eastern Europe and the Baltics, as well as deploying nuclear missiles in response to Russia's alleged breaking of the INF treaty. The initiatives, reminiscent of the darkest days of the Cold War, are part of a broader US strategy of strengthening its military presence in Europe. One needs to look no further than at the sheer amount of NATO war-games close to Russia's borders in the last 12 months. "Moscow has figured out that the US and its NATO allies have an evil eye on Russia," M.K. Bhadrakumar said. "In conventional forces, the US and its allies enjoy superiority over Russia. That leaves Russia with no option but to display its nuclear deterrent," the analyst claimed, referring to Moscow's plans to add 40 intercontinental ballistic missiles to its strategic forces in 2015. Apparently, this is not what Washington hoped for. The US tried to force "the hands of its major western allies to switch to a confrontational mode vis-à-vis Russia" to turn Moscow and European capitals into "adversaries for the foreseeable future," the analyst explained. The civil war in Ukraine likely serves this purpose. Washington's efforts have not paid off as Russia remains "fiercely independent" on the world stage, which "not only frustrates the US' regional strategies but also sets a bad example for other independent-minded countries to emulate," M.K. Bhadrakumar pointed out. As long as this state of affairs persists, Washington cannot achieve its strategic goals. For instance, "the US' strategy to confront China in the future also cannot make headway" as long as Russia remains strong and independent, according to the analyst. But "above all, the global strategic balance (Russia's nuclear parity) impedes the US' attempts to create a New American Century," M.K. Bhadrakumar said. The Bilderberg Group will coalesce June 9-14th in the Austrian Mountains at the Interalpen Hotel. How many of these instigators of widespread tyranny will be discussing their million-dollar safe bunkers where they can hide like moles while their hellish plans are unleashed on the gullible masses? 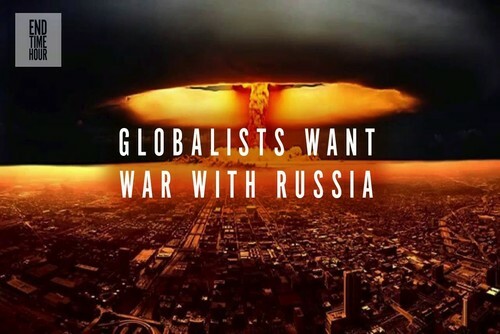 With the eyes of the world now focused Greece and Ukraine, today Dr. Paul Craig Roberts warned World War III is imminent and all human life is now in grave danger. This is an ominous warning from the former U.S. Treasury official as he is warning global leaders the world is headed for disaster. March 26 – According to news reports https://ltnacionalistas.wordpress.com/angliskai/lithuanian-government-intensifies-persecutions-against-anti-imperialist-activists/ and to this appeal by Kristoferis Voishka https://www.youtube.com/watch?v=X6MDj2uvyLk, the pro-American government installed in Lithuania is persecuting Lithuanians who dissent from the anti-Russian propaganda that is driving Washington’s NATO puppets to war with Russia. Unlike their puppet government, Lithuanians understand that war with Russia means that Lithuania on the front line will be utterly destroyed, a result that would not bother Washington in the least, just as Washington is undisturbed when its forces obliterate weddings, funerals, and children’s soccer games. What is Lithuania? To Washington it is a nothing. Kristoferis Voiska runs an alternative Internet news site in LIthuania. Not long ago he interviewed me, and the interview appeared in both LIthuanian newspapers and on his Internet news program in video form. I found him to be sincere and well informed. I advised him that interviewing me would bring trouble for him, and he already was aware of that. As I have said so many times, Americans are the worst informed people on the planet. They are unaware of the growing momentum toward war with Russia. The presstitute media throughout Europe, especially in the Baltic states and Poland, is hard at work creating in people’s minds the fear of a Russian invasion. The orchestrated fear then provides the basis for the American puppet governments to beg troops and tanks and missiles from Washington, and the US military/security complex, counting its profits, is pleased to comply. But what Russia sees is a threat, not a money-making opportunity for the US military/security complex and payoffs to the corrupt Lithuanian and Polish governments, which are increasingly perceived as neo-nazi like the government that Washington bestowed on Ukraine. The situation is dangerous, as I keep telling you, a message that some are too weak to accept. I have misplaced contact information for Kristoferis Voiska. If you care to show support for Kristoferis and the independent media in Lithuania, send emails to Valdas Anelauskas anelauskas@hotmail.com Perhaps he will forward them. In about one week I will be 76 years old. I was born in 1939 as World War II was unfolding as the direct consequence of the Versailles Treaty that broke every promise President Woodrow Wilson made to Germany in exchange for the end of World War I.
I remember as a child Cold War nuclear attack drills in elementary school during which we would cower under our school desks. We were issued dog tags with our blood type just like the dog tags ripped by their comrades off US soldiers killed in the war movies by Germans or Japs (no longer a permissible word) and sent home to the dead GI’s family. As kids playing war–in those days you could have toy guns without being shot down by the police who are protecting us–we reveled in America’s World War victories. We understood, thanks to our parents and grandparents, that the Red Army won the war against Germany, but us Americans beat the heartless Japs. That was enough. We knew that the US was tough. I was 14 when the Korean War broke out. We expected to win, of course, and our expectations, we thought, were proven correct when General MacArthur’s amphibious landings rolled up the North Korean army. But what MacArthur and Washington had overlooked is that China and the Soviet Union were not about to accept a US victory. Before Americans could cheer, the Third World Chinese Army rolled in and pushed the conqueror of Japan back down to the tip of South Korea. It was a humiliating defeat for American arms. MacArthur’s response to conventional defeat was to request to employ nuclear weapons. In his dispute with President Truman, MacArthur, America’s most famous general, was removed from command. Washington accepted defeat in Korea and again in Viet Nam where a 500,000 US force consisting of US Army, Marines, and Special Forces was defeated by a Third World guerrilla army. To these defeats we can add Afghanistan and Iraq. After 14 years of killing, the Taliban controls most of the country. Jihadist have carved a new state out of parts of Syria and Iraq. The Middle East reeks of American defeat. Just like Korea. Just like Viet Nam. Despite these facts insouciant Americans and their crazed rulers in Washington imagine that the US is a Uni-Power, the world’s only superpower against whom no country can stand. This arrogance, ignorance, and hubris is leading the US into conflict with Russia and China, either of which can destroy the US with ease. And Europe as well. And the stupid bought-and-paid-for Japanese government, a total non-entity, a disgrace to the Japanese people, a collection of well-payed American puppets. As Andrew Cockburn has documented, the US military is lost in abstractions and is no longer capable of conducting conventional warfare. 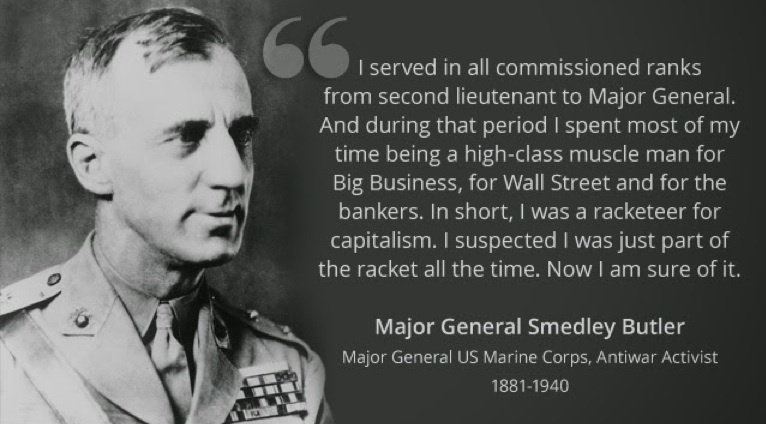 http://www.paulcraigroberts.org/2015/03/24/us-government-us-military-became-murder-inc-paul-craig-roberts/ Any American or NATO army sent to attack Russia will be destroyed almost instantly. Washington cannot accept the loss of prestige from defeat and would take the war nuclear. Life on earth would end. The only conclusion that informed analysis supports is that Washington is the greatest threat to life on earth. Washington is a greater threat than global warming. Washington is a greater threat than the exhaustion of mineral energy sources. Washington is a greater threat than the rise in world and US poverty from Washington’s policy to enrich the few at the expense of the many. The only possible conclusion is that unless Washington collapses from its economic house of cards or is abandoned by its NATO puppet states, Washington will destroy life on earth. Washington is the greatest evil that the world has ever faced. There is no good in Washington. Only total evil. Did you know that the Russians have a massive underground complex in the Ural mountains that has been estimated to be approximately 400 square miles in size? In other words, it is roughly as big as the area inside the Washington D.C. beltway. Back in the 1990s, the Clinton administration was deeply concerned about the construction of this enormous complex deep inside Yamantau mountain, but they could never seem to get any straight answers from the Russians. The command center for this complex is rumoured to be 3,000 feet directly straight down from the summit of this giant rock quartz mountain. And of course U.S. military officials will admit that there are dozens of other similar sites throughout Russia, although most of them are thought to be quite a bit smaller. But that is not all that the Russians have been up to. For example, Russian television has reported that 5,000 new emergency nuclear bomb shelters were scheduled to have been completed in the city of Moscow alone by the end of 2012. Most Americans don’t realize this, but the Russians have never stopped making preparations for nuclear war. Meanwhile, the U.S. government has essentially done nothing to prepare our citizens for an attack. The assumption seems to be that a nuclear attack will probably never happen, and that if it does it will probably mean the end of our civilization anyway. While drunk Secret Service agents, Hillary Clinton private emails, and the Vladimir Putin death hoax with rumors of illness or possible stroke, dominate the headlines, distracting Americans, the rest of the world is preparing for World War III, as the mainstream media play their part in the propaganda war by constantly casting Russian President Vladimir Putin as the villian. In a recent ANP article titled "The Endgame Is Here! America Surrenders Militarily While Preparing For War Against US Citizens," we broke down the orchestrated decimation of the US military over the past six years, noting the buildup of the DHS funding and targeting of political opposition here in America by the Obama administration and the militarized police in the US. Today we are going to look at a convergence of events that show we are "one event" away from World War III. From Israel to Iran, North Korea against South Korea, China and Japan, Iran claiming they take the US on militarily, the world is in chaos, but it is the situation in Ukraine, with the NATO and the west, led by the US, and their actions against Russia that the focus needs to be on. As NATO creeps closer and closer to Russian borders, with US military bases all over Russia's backyard so to speak, ANP sources tell us "it can happen at any time, this is it," and that all it will take is one tactical nuke in Ukraine or elsewhere, which will immediately be blamed on Russia and it will mean "World War III has arrived."